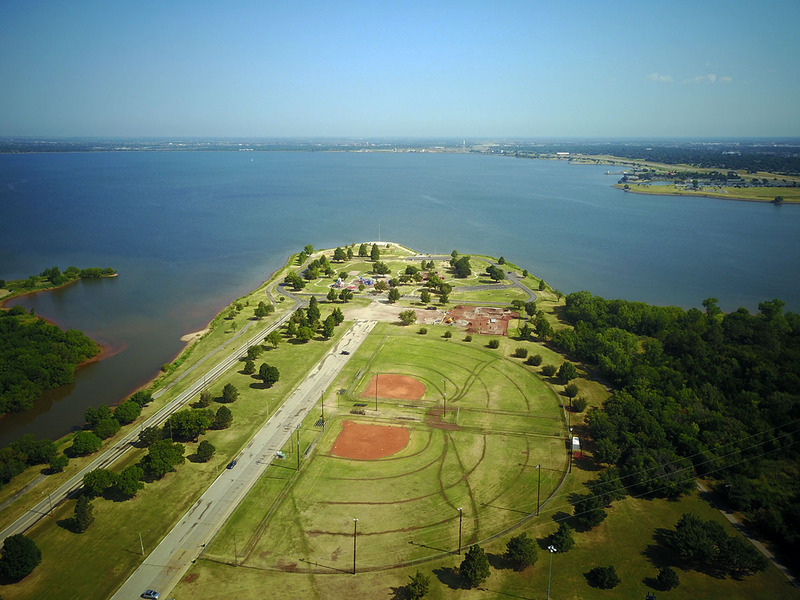 The park, on a peninsula jutting out along the south border of the lake, boasts a patriotic themed playground, baseball/softball fields and a hiking trail. 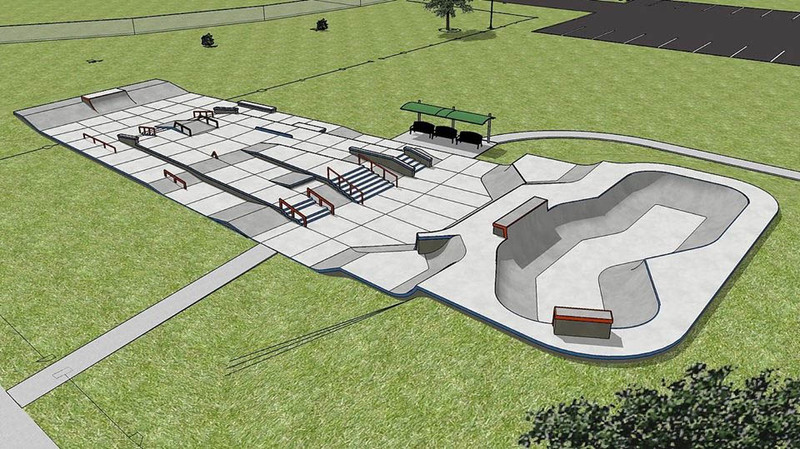 The design is by Site Design Group, an award-winning firm specializing in skate and bike park planning, engineering and construction throughout North and South America, Europe, Africa, Asia and Austrailia. 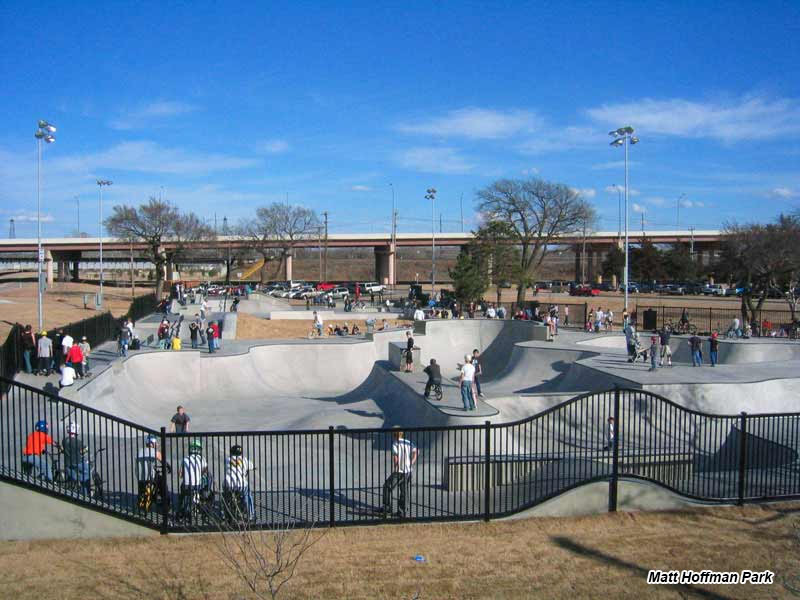 Site Design was also behind OKC's very popular Matt Hoffman Skate Park in Wiley Post park by the Oklahoma River. 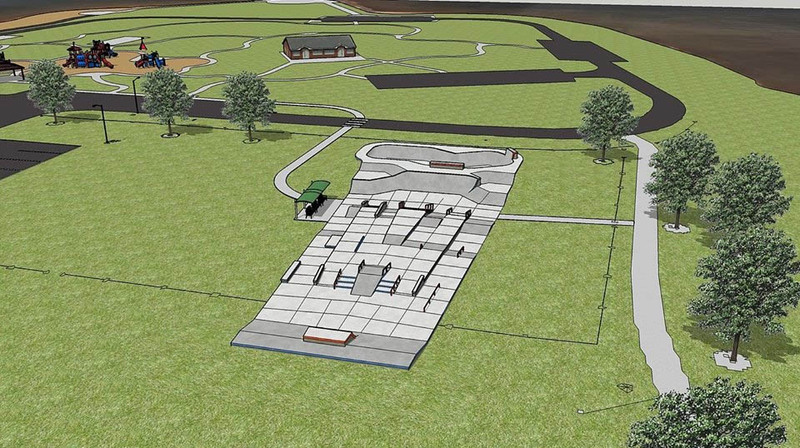 The Stars and Stripes facility will have an impressive street course as well as a pool, with 10,500 square feet designed for intermediate users and BMX riders. 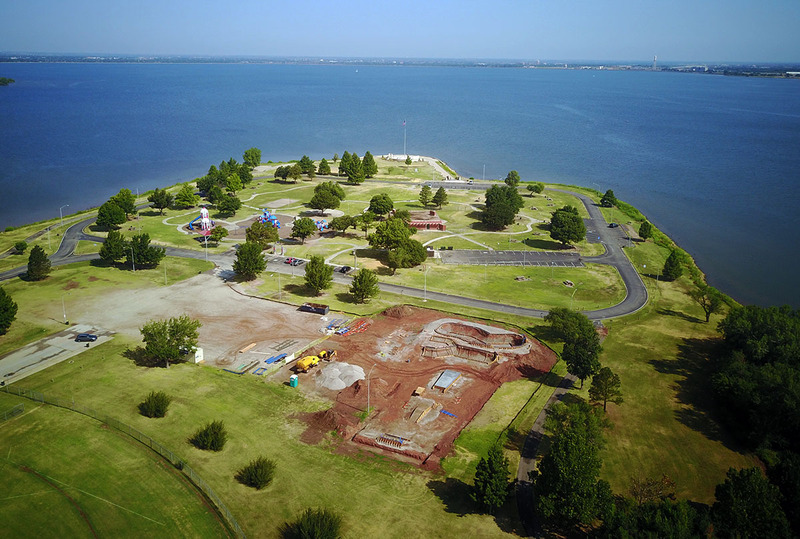 This will be the 4th skate park in Oklahoma City as in addition to Hoffman, there is Route 66 Skate Court in far West OKC and South Lakes Skart Court at 4210 SW 119th. The new Stars and Striples facility should be complete this September.